The government has recently released the draft Model Contract Farming Act,2018 for public comments and responses. This report primarily targets stakeholders in the farming sector which include contract farming / value chain promoters, farmer’s producer organizations and farmers as well as other citizens of the country for their views and comments on the same. To understand what it entails we must first understand the concept of Contract Farming. 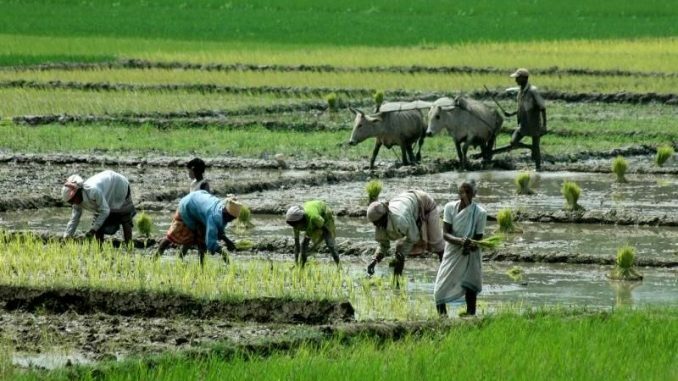 In recent times agriculture has undergone tremendous shift in terms of how the occupation in itself is viewed and the social relations that it entails. With introduction of challenges such as pressure on land, climate change and the response advent of new technologies, agriculture undoubtedly is in the cusp of a new beginning. This is the background in which the concept of contract farming can be best explained. In contract farming, a company or an organisation enters into an agreement with a farmer. In this agreement the farmer is given pre-decided support for agriculture while the farmer assures crops at a pre-decided price and quality. In this process, the farmers are given every possible help by way of seeds, fertilisers etc by the company so that the farmer can produce the desired results. The rationale behind the emergence of such a system was predominantly to cash in on the increasing opportunities provided in the agricultural sector while protecting the farmer from price shocks at the same time. In fact, as repeated incidents have proved, the volatility of prices hit the producing farmers much more that it hit the consumers. Companies are also saved from price volatility due to assurance of availability of raw materials. Yet contract farming in India has not been able to produce the desired results. The reasons mainly emanate from the structural faults within the agriculture system of India. One of the first reasons is the lack of a homogenous contract farming law in the country. Some states have their own rule while others don’t. In such a scenario the need for a central homogenous rule becomes extremely important. Another major problem is the absence of farmers owning large-sized farmlands in India, due to which contract farming cannot be a success. Farmers are also often exploited and companies often resort to breach of contract because of the lack of legal education among the farming community. To address this lacunae the Model Contract Farming Act is being released. A few key features of this bill include: buying of entire pre- decided quantity at the rates specified and strict implementation of the same. It also envisages the setting up of a Contract Farming (Development and Promotion) Authority. It provides a facilitation group for contract farming at village levels. The product is to be kept out of the APMC act. Further the draft act talks about speedy grievance redressal mechanism. It also envisages the setting up of Farmer Producer Companies for small and medium farmers so that they too can involve themselves in contract farming. The draft clearly makes provision for penalty for those who breach contracts thereby insuring the farmer against legal hassles which amount to exploitation. Further by insuring the produce of the farmers the bill seeks to further protect the interests of the small and marginal farmers. The step to keep the structure of contract farming out of the APMC Act will free the growers and the procurers from the hassles of the Act. Further by integrating the small and marginal farmers the bill would truly catapult Indian farming into the global arena while protecting the interests of the small and marginal farmers at the same time. The setting up of a robust framework will also help in speedy realisation of raw materials while being legally protected at the same time, due to the envisaged speedy disposal of all grievances of the sector. The Bill once it becomes a law will witness an interesting turn of events. In the history of India since independence any legislation on farming has met only with reasonable and measured success. One of the first challenges towards the same would be implementation at an all India level. Further it would be hard to allay the concerns and sense of income loss for farmers if the prices of a produce shoot up much more than the pre-decided prices. Further it will be a continuous struggle to ensure that the produce that are obtained are of desirable quality. Most of all farming cooperatives have not been particularly successful in India and any new legislation on the same must be approached with caution. Yet, despite the challenges this Bill is a step in the right direction which will take India forward into a new era of global agriculture.